Detroit rockers, American Arson, have dropped The Blood & The Bones, the third and final installment of their impressive, “Origin Story” EP series. After his departure from Good Luck Varsity, Evan Baker had open options for his next venture. American Arson began as a solo effort, that expanded into a dedicated two-piece last spring with the addition of drummer Jesse Gentry. Baker dropped his simplistic rock/punk roots for a significantly more robust rock. A vibe that has drawn in his old fans and attracted new listeners. Lyrically the EP digs deeply into each topic with astute acumen. With raw and ranging vocals Baker draws upon a historical folktale for the basis of “The Beast Of Gévaudan”, as the story’s wild creature is used as a metaphor for seeking a mental refuge. Take my hand and lead me past the wolves that seek a refuge in my head. I can’t stand to live my life afraid of what I am, building walls around my walls around my walls. My heart is like a hammer. In your hands I am an earthquake to these stones. Your word is like a fire. I can feel the embers rising in my bones. Life’s disheartening realities are revealed on “My Father’s House”. Abruptly switching from raw vocals to spoken word elements and back again, the song leaves the listener hanging, not knowing what element will next be divulged. On “Ten Towers” the tone softens and sonically harkens back to the acoustic elements of the American Arson EP, The Seeds & The Soil. During the song Baker creates a personal and heartfelt tribute to friends and family, both spiritually and worldly. I was adrift on a limitless ocean, you found me. I was a proud and petulant prodigal and you welcomed me home. I am a liar, I am a thief; but above all, I am yours. Haha! I am yours! With your love carrying me, I’ve got this whole wide world in my hands. It’s all I, all that I need, I’ve got this whole wide world in my hands. 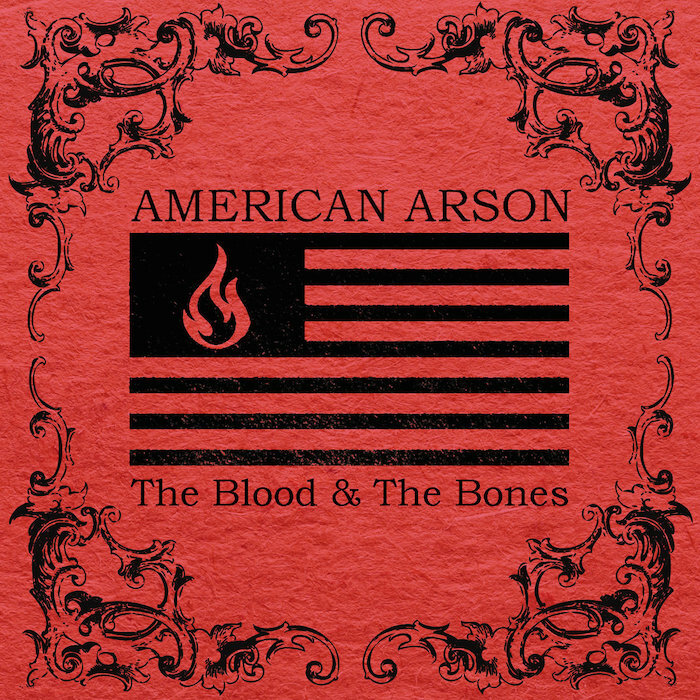 American Arson’s The Blood & The Bones is a telling and creative journey. It unmasks the talents of the bandmates and leaves a revealingly personal view of faith and relationships. American Arson’s “Origin Story” EP series is available through iTunes and Bandcamp.